Winter is the season with cold and dry winds that make your skin stretched and dry. So you have to take special care of your skin in winter and keep it well moisturized to avoid dryness. If not, your skin may suffer a lot and even crack due to dryness. You get a lot of cold creams, and moisturizers in the market to use in winter, which promise you well hydrated and smooth skin. However, they contain chemicals and may not suit the skin types of all people. Some even suffer from allergies when they use certain products. So, why not choose a natural remedy for the skin? they are devoid of any chemicals and usually are not allergic to the skin. Banana is found to be very beneficial for skin and contains many essential nutrients that are needed by the skin. About 75% of it consists of water and therefore it helps in hydrating your skin and preventing dryness in winter. Vitamin A present in banana helps in repairing the damaged, dry and dull skin, and also retains the moisture in the skin. If you want to moisturize your dull and dry skin instantly, here is a wonderful mask. Mash a ripe banana and apply the smooth paste on your face. Wait for 20 minutes and then wash with lukewarm water. You will soon see that the skin has become smooth, supple and hydrated. Banana may also be mixed with oats, sugar etc and used as a scrub. Take banana in a bowl and add olive oil and honey. Mix all of them in to a fine paste. Apply the paste on your face and wait for 10 minutes. Wash off with water. This pack helps in moisturizing your skin and also reduces the signs of ageing that appear in winter. Vitamin E present in the pack is very beneficial for your skin and provides your skin a healthy glow. Honey is an excellent moisturizer and retains the moisture in your skin. Banana and olive oil are rich in antioxidants and they help in neutralizing as well as in removing the harmful effects of the chemicals used on your skin. Olive oil helps in controlling the [production of sebum in your skin. The pack made of banana, olive oil and honey is very soothing to your skin and moisturizes your skin, providing a feeling of relaxation to your skin. You can be more economical and look for bananas that have a discount. You can take one from it for using as a pack and then store the rest of the bananas in the refrigerator and use them later whenever you wish to make a face pack. Take the banana in a bowl, mash the banana and make a smooth paste out of it. Now whip the white butter in a container, till it is smooth. If you do not have butter at home, you can use milk from which no fat is removed. Mix the mashed banana and the butter well and apply on your face. Wait for 10 to 20 minutes and then wash off with water. This pack hydrates your skin and prevents it from getting dry. Mix all the ingredients in a bowl and make a smooth paste. Apply the pack well all over the face and let it stay on your face for 20 minutes. Rinse off with water and pat dry with a clean towel. Take all the ingredients in a bowl and blend them into a smooth paste. Apply this pack on your face and wait for 20 minutes. Rinse well with water and pat dry your face. You may also add rose water or sandalwood powder, which are beneficial for your skin and hydrate your skin. Mash the banana till it becomes a smooth paste. Whisk yogurt so that it also becomes smooth. Blend both of them well and apply on your face. Wait for 10 to 20 minutes and then rinse off with water. This helps in keeping your skin hydrated and prevents drying in winter. It is also useful for getting rid of excess sun tan. Using this pack regularly keeps your skin smooth and glowing. Mash banana and make it into a smooth paste. 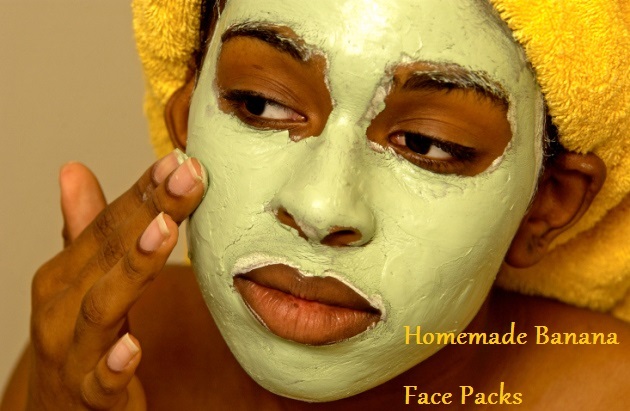 Blend it well with lemon juice and apply the face mask on your face. Leave the mask for 15 minutes and then wash off with water. Banana is a rich source of Vitamins A, B and E and protects your skin from damage and also reduces signs of premature ageing. Lemon juice has bleaching effect and lightens your skin. It also lightens the blemishes and scars on your face and provides you a clear skin. These face masks are not at all expensive. It costs you only about Rs. 10 to Rs 5, but they are excellent for treeing your skin in winter and protect your skin from the harsh winter. So use any of these face masks and have a well moisturised and healthy skin in winter.